Louise O’Conor has been appointed as Chief Digital Officer at remote-working platform, Abodoo. Abodoo launched in September 2017, and is based in Gorey, Co. Wexford. Since its launch, it has established multiple partnerships with leading employers offering smart, remote and flexible career opportunities nationwide and has recently reached 10,000 registered users. 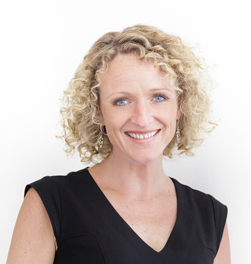 Louise ​brings with her​ over​ ​16 years’ international business experience to Abodoo. Over that time, she has digitally transformed and scaled businesses​ ​across global markets and multiple industries. At director level, Louise has ​successfully ​spearheaded and launched multiple business and revenue models, websites and platforms. She has built and led international teams in excess of 50 employees and has ​​introduced ​data acquisition and retention strategies to dramatically increase revenue and international growth. ​Born in Dublin, ​Louise​​​ has lived and worked in eight countries, travelled to over 60 and speaks six languages. She is an international speaker​ and mentor​, ​​​and passionate ​about ​technology, education, diversity, people and making ideas happen​.